You can create an ad-hoc full backup — active full backup, and add it to the backup chain on the backup repository. The active full backup resets the backup chain. All subsequent incremental backups use the active full backup as a starting point. 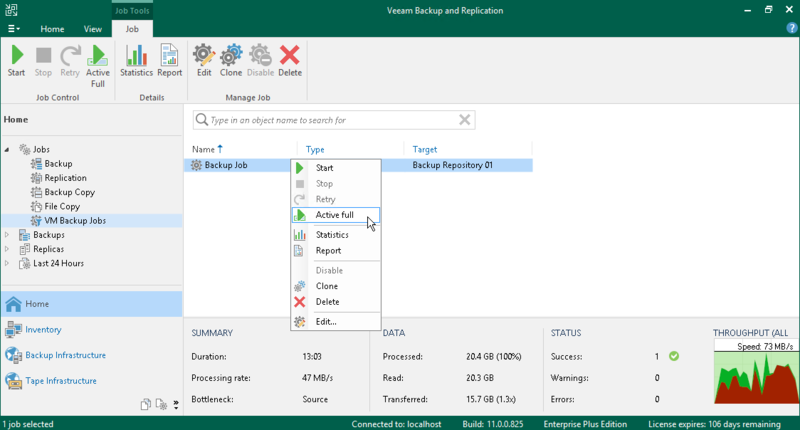 The previously used full backup will remain on the backup repository until it is removed from the backup chain according to the retention policy. In the inventory pane, select Jobs. In the working area, select the job and click Active Full on the ribbon or right-click the job and select Active Full.